During the 1960s, Japanese automakers were making inroads into the American market. At the time, they were widely (and I would argue unfairly) perceived as being manufacturers of cheap and unimaginative economy cars. One Japanese automaker who actively sought to change that perception was Nissan Motor Company, which at the time built and marketed cars under the Datsun nameplate. In 1965, Nissan designers started work on a sports car that was specifically aimed at the American market. The end result of the of the Japanese firm’s labors was a legendary sports car that is credited with establishing Nissan as a world-class automaker: the Datsun 240Z. Introduced in late 1969 as a 1970 model, the Datsun 240Z (called the Datsun Fairlady Z in Japan) was a medium-priced sports car. Designed by a team led by Fumio Yushida, it was intended to compete with European mid-price sports cars in the American market, which included offerings from Jaguar and Porsche. In terms of engineering, the 240Z was a thoroughly conventional, yet state-of-the-art sports car for its time. It employed a front engine, rear-wheel drive layout and rode on a 90.5 inch wheelbase. Power came from a potent inline-6 engine, which displaced 2.4 litres (146 cubic-inches) and was initially good for 150 horsepower. Customers were offered a choice of either a 4-speed manual transmission or a 3-speed automatic. The 240Z was equipped with 4-wheel independent suspension, which employed McPherson struts and coil springs. Outwardly, the car was clothed in a sleek and stunning-looking body shell, which featured a long hood and a fastback roof. The Datsun 240Z was also a very capable performer. According to Nissan, it could accelerate from 0 to 60 in less than 9 seconds and had a claimed top speed of 125 miles per hour. It was also blessed with outstanding road-holding abilities. Owners and automotive soon discovered the 240Z’s high quality of construction and it earned an enviable reputation for being tougher and more reliable than comparable European sports cars of the time. The 240Z’s reputation for high-performance, durability, and dependability was further enhanced by its successes in motorsports competition. In the United States, the 240Z became a dominant force in SCCA (Sports Car Club of America) sports car racing. Elsewhere in the world, the 240Z proved to be a capable rally car, twice winning the prestigious (and notoriously rough) East African Safari Rally (1971, 1973). To top it all off, not only was the 240Z a modern design capable of a high level of performance, it was noted for being a bargain package that gave exceptional value for the money. Initially offered at a base price of $3,526, it undersold other mid-price sports cars of the day. Due to its durability and reliability, it proved cheaper to operate and maintain than its European competitors. American sports car enthusiasts quickly grasped the exceptional value offered by the 240Z and the demand for it soon exceeded supply. The Datsun 240Z enjoyed a successful, albeit relatively short, production life (1969-1973). 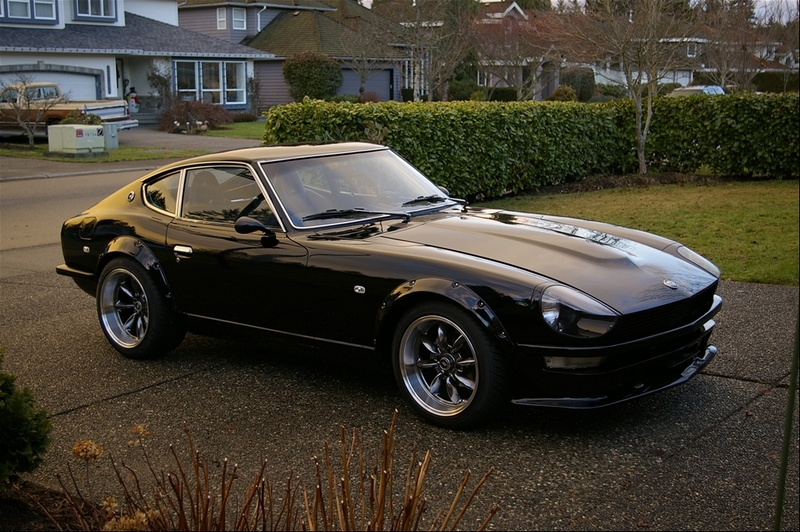 For the 1974 model year, largely due to tightening American safety and emissions regulations, it was replaced by the Datsun 260Z, which was essentially a 240Z with a larger 2.6 litre engine. Over 140,000 Datsun 240Z’s were sold in the United States. Surviving examples are highly sought after today.